Ascorbic acid is a sugar acid with antioxidant properties. 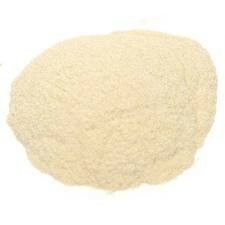 Its appearance is white to light-yellow crystals or powder. It is water-soluble. The L-enantiomer of ascorbic acid is commonly known as vitamin C. The name is derived from the alpha privative a- (meaning no) and scorbuticus (scurvy), the disease caused by a deficiency of vitamin C.
Buffered Vitamin C Powder contains four buffering minerals, in addition to ascorbic acid. When mixed with water, this product produces a reduced acid solution that is non-irritating. I placed an order and then wanted to cancel an item, I received an immediate response. The item was cancelled, no questions asked. Thank you!